Be among the firsts who Order Robogram on 19th of November 2018 on Kickstarter! Early birds also can get Robogram with amazing discounts! 13% – 66% off! 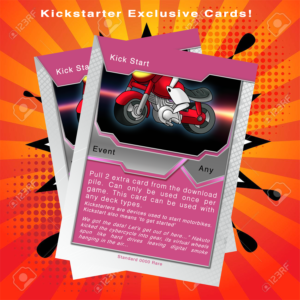 You will also receive two extra Kickstarter only card! Hakuto’s bike, which will never available again in print!